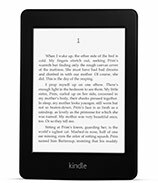 Yesterday, Amazon announced its new Kindle line up, offering several updated tablet options to fit the needs of a wide range of consumers. For the heavy media consumer, the new Kindle Fire HD 8.9″ 4G has all the bells and whistles a technophile could want, with a larger 1920×1200 HD display, exclusive Dolby audio, high speed Wi-Fi and 4G LTE capabilities, at a price point of $499. A Wi-Fi only version will sell for $299. 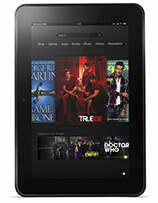 Another added perk for the top of the line Kindle Fire HD is the special $49.99 4G data package that covers the entire first year of use. However, the plan does restrict data usage to 250MB a month, and after the first year, pricing reverts to the standard monthly fee. For those who don’t demand as much screen real estate or 4G connectivity, the 16GB 7″ Kindle Fire has been dropped to $199. Replacing the Kindle Touch is the new Kindle Paperwhite. Starting at $119 for a Wi-Fi only model, a 3G wireless option is available for $179. The contrast of the Paperwhite screen has been increased by 25% and has 62% more pixels. Amazon also added a built in front light to help improve readability in low-light environments. The Verge reports that unlike the Touch, the Paperwhite is a text only eReader without any audio capabilities, so listening to audiobooks or MP3s are no longer an option. Amazon also made it cheaper for consumers to enter the eReader market by offering its smallest Kindle starting at just $69.